Coming out on top. Improve your chances, and reduce your stress, in a multiple offer situation. As seen in the Metro Vancouver New Home Guide . Whether you are a first time buyer, looking at buying a bigger house or downsizing, if you are looking at buying an investment property it is important to be prepared. This spring a sellers’ market is in full swing, which is more noticeable in certain areas of the Lower Mainland. With historically low interest rates, buyers are making the jump into homeownership, because for many, their mortgage payments will be less than what they are paying in rent. It is certainly a great time to get into the market. However, in a sellers’ market buyers find themselves in competition with other buyers to purchase a home. Buying a home can be exciting but having to compete for a home can add a bit more stress. In this case, a property’s asking price and what the property will sell for is quite different, and in most cases the selling price will be well above and beyond the listed price. When a homebuyer goes into a multiple offer situation, they are less in control. As a buyer, you need to prepare yourself in doing work upfront and with the understanding that you might not get the property in the end. During multiple offer situations, the seller is not obligated to negotiate or accept any of the offers. The seller has the liberty to choose the best offer to negotiate and they will accept the offer that best reflects their needs. While price is important, that will not be the only factor they consider. They will also look at things such as subject conditions, completion and possession dates. Get pre-qualified by a Mortgage Expert – One of the most i mportant aspects of buying a home is knowing how much you qualify for. You will know what you are comfortable paying on a monthly basis but also what is the highest amount you can offer. 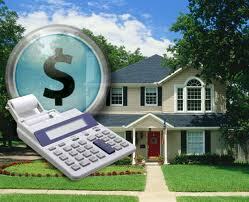 While you might have been qualified, the lender still have to approve the property you are buying. Prepare and have all your documentation ready – It is important that you provide your Mortgage Expert will all the documentation the lender is going to require upfront. Especially since time will be of essence, you don’t want the added stress of getting documentation when you are in the middle of negotiations and during the subject condition period. Having the right real estate agent – It is critical that you have an agent that has your best interest in mind. As a buyer it is not your job to seal the deal, it’s your agent’s responsibility to know what is your limit and respect that. Don’t let your agent try to upsell you on the price and encourage you to go above your budget. It’s their job to research comparable properties in the area and advise you, but you are the one that makes the final decision. After all, it’s your money. Set your boundaries – On ce you set your budget, stick to it. Determine how exactly how much you can go over if you end up in multiple offers. Don’t get sucked in by emotion and peer pressure because in the end it can end up costing you a lot more money. Consider doing a home inspection ahead of time – The buyer could consider your offer more readily if it doesn’t include a “subject to inspection” clause. Be flexible – Winning a multiple offer situation might be as easy as agreeing to the seller’s conditions such as closing dates, buying the property “as is” or even tightening the subject removal dates. This is important if the seller has already bought another property and is anxious to moving on. By agreeing to make the transaction as easy as possible could mean winning over a more generous offer. When buying a property “as is” and limiting the subject conditions (such as requesting that a missing knob or floor tile be replaced) might work in your favour too. If your agent is aware of any information about the seller’s situation and if you can be flexible in any way, take advantage of this opportunity that might help you get your offer accepted. Write it down – Perhaps you might want to write a quick letter to the seller explaining who you are and why you want to buy their home so much. Buying and selling a home is an emotional time for everyone, especially if the seller has lived in that home for a long time and raised their family there. Sometimes, it’s not about the highest offer but it can certainly also be about an emotional connection. Even though your offer might be lower than the others, some sellers might feel a strong connection to your story and decide that it’s not about the money but about someone who will really appreciate a great home! Know when it is time to walk away – Multiple offer situations can be stressful and sometimes listing agents strategically set the price of the home below market value to start a multiple offer situation. Make sure you stand firm. Buying your home is about a great investment and you have to be smart about it. In the end, it’s about being comfortable on what you are paying a month and happy with the decisions you make. After all it’s about finding a home that will be a great place to start building equity and creating memories. Categories: First Time Buyers, Mortgage basics, Mortgage Types, Purchase, Saving money | Tags: budget, home buying, home equity, home inspection, homebuyer, homeowners, mortgage broker, offer to purchase, pre-qualified, purchase a home, real estate agent | Permalink.